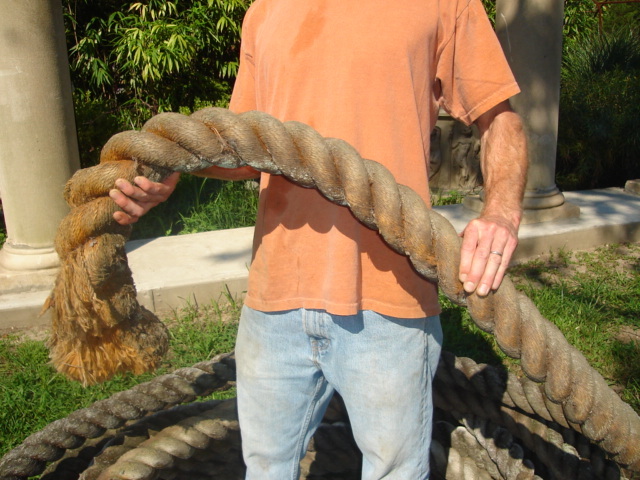 Nylon Tugboat rope rescued from the Newark shipping yards. 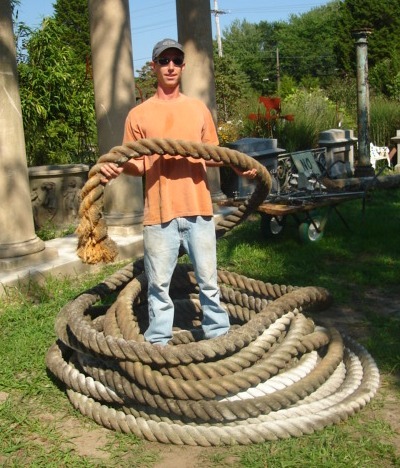 Heavy duty industrial rope measures 3 1/2" in diameter. Increasingly hard to find. 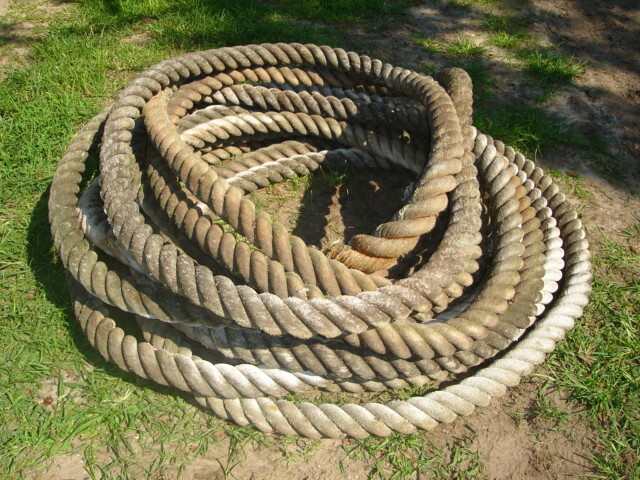 Great for landscaping! Roughly 150 linear feet available. In store only. Minimum 25 linear feet per purchase.